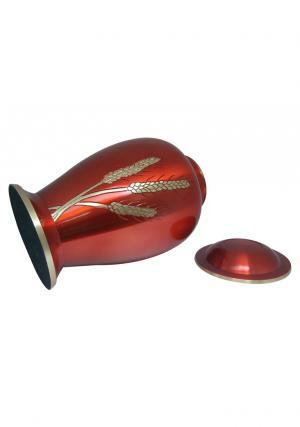 The brass metal made Medium sized 7 inch Golden Wheat Engraved ashes urn has smooth polish with decorated rich ruby enamel. 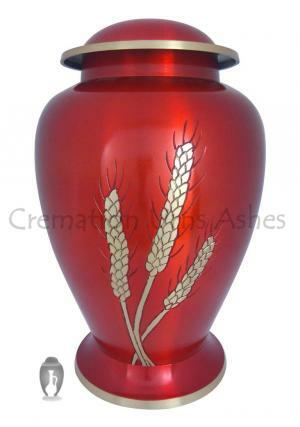 The rich ruby decorated medium sized ashes urn with wheat design in brass enamel makes it more pleasant. 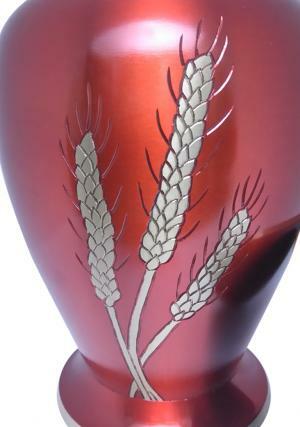 The rise in wheat represents rebirth and nourishment of life. 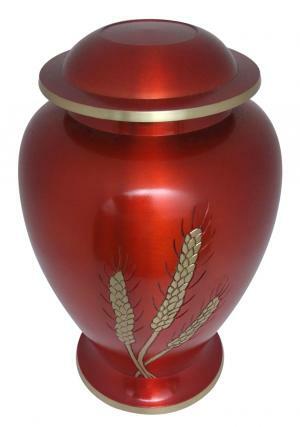 The lid of the medium sized cremation ashes urn is decorated in plane deep red with finishing of smooth polish. 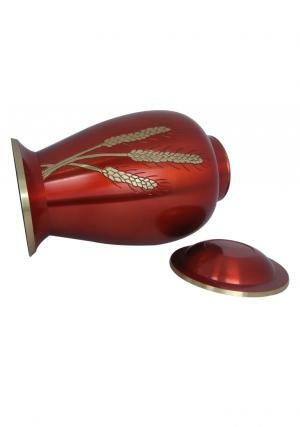 The lid has screw threading to secure the ashes of the loved one. 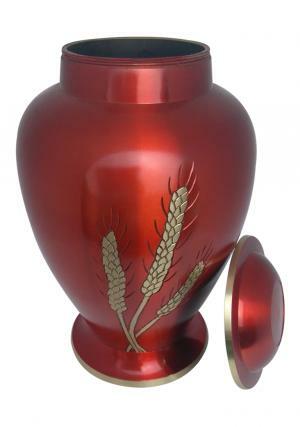 The Dimensions of Medium sized large funeral Golden Wheat Engraved Ashes urn is 7.36 inch tall, 5 inch width and weighs 1.19 kg which measures volume space of 90 cubic inch.